Some came early, some late…but everyone came ready. 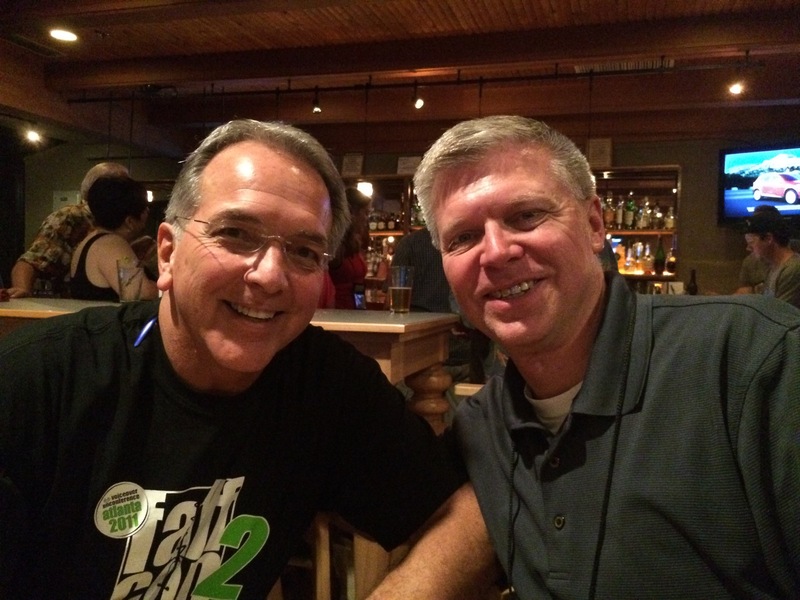 I first met my online friend Derek Chappell at Faffcon2 in Atlanta. He told me tonight he felt like such a newbie back then. Now, smarter, better coached, more connected, and a recognized Social Media maven…. Derek has more than earned his place at the table. He hasn’t made every Faffcon in person, but was its biggest supporter over the years through his aggregation of all the tweets and Facebook posts during the event. Once again this year, Derek is hard at it, and you can see all the social media posts for Faff7 here: http://t.co/YQK3EYPZQQ. The point (again) is that a rising tide lifts all ships. Faffcon is the sea and we’re elevated in the swell of knowledge and good will that it fosters. I wish you could be here, but if you’re not able this year… Follow the posts, be encouraged by Derek’s example, and sail with the tide.